City Council chambers, second floor, Augusta City Center, 16 Cony St.
“Bring Out Your Dead! The Art of Researching Maine & New England Ancestry"
A special lecture series is set for 2 p.m. every Sunday in February and March. Jay Robbins, place-based historian and former president of Maine Genealogical Society, will kick off the series on Sunday, Feb. 4, by examining strategies and sources for the successful recovery of historical details about people, place and property. Samuel Howes, archivist, Maine State Archives, will speak on Sunday, Feb. 11, about the genealogical resources of the archive and how to get into back doors with non-indexed material. On Sunday, Feb. 18, Cheryl Willis Patten, of the Maine Old Cemetery Association, will kick off Session I by exploring some of the genealogical treasures that can be found in Maine cemeteries; while Richard Bridges, title attorney of Augusta, will address the use of probate and deed records in genealogy research in Session 2. The lecture series will continue Sunday, Feb. 25, with Nancy Milliken Mason, DNA research consultant, who will explain how DNA testing can provide clues to a family tree. On Sunday, March 4, Carol P. McCoy, Ph.D., president of the Maine Genealogical Society, will demonstrate how to find ancestors in town records: hog reeves, fish cullers, tithing men and more. Dana Murch will demonstrate his genealogical success story on Sunday, March 11, by showing how he researched, wrote and published his recently completed book “From Water to War – A Murch Family History” (2017). 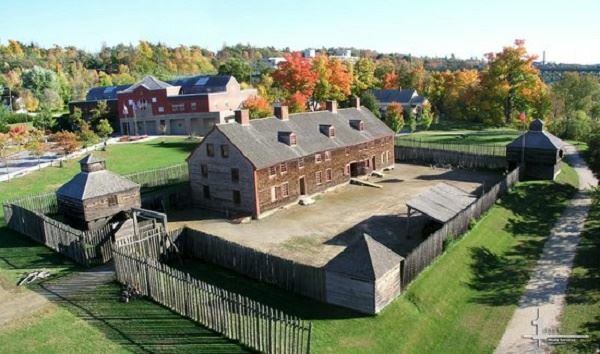 The lecture series will conclude on Sunday, March 18, with Paul Lessard who will show how his family lineage is connected to Fort Western. In case of inclement weather, Sunday, March 25, will be reserved as a snow date. All lectures are free and open to the public; however, a recommended donation of $5 would be accepted for nonmembers.